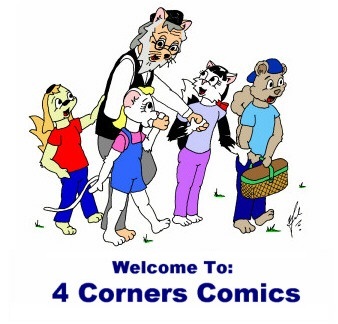 4 Corners Comics was created by Rabbi Aryel Nachman ben Chaim and Reb Reuven in 1998. 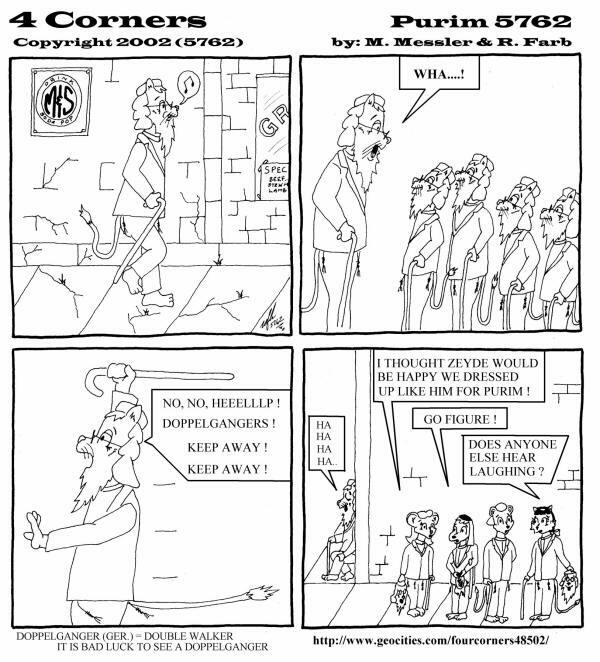 The strip was first published in the Flint Jewish News in September 2000. What is Four Corners about? 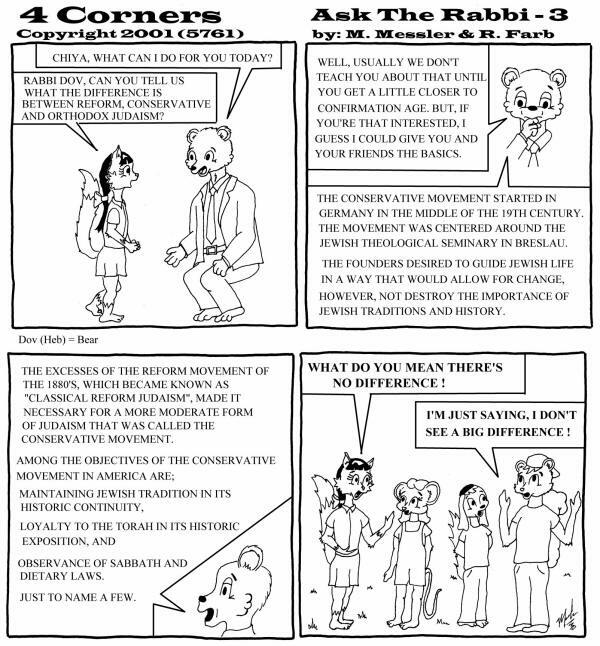 Four Corners is an educational comic strip that promotes understanding of Judaism from the mainstream ideologies: Orthodox, Conservative, and Reform. Tidbits of Reconstructionist and Sephardic Judaism, along with cultural practices taken from the Galicianers and the Litvaks are also included. There are four major characters in Four Corners: David Kelev, representing Orthodoxy; Chiya Chatool, representing the Conservative Movement; Miriam Achbar, representing Reform Judaism, and Sam Senaee, who is undecided as to which movement he wants to belong to. There are many supporting characters who appear in the strip. The major supporting character is Zeyde, a Hungarian Holocaust survivor who is the town’s grandfather, in a manner of speaking. 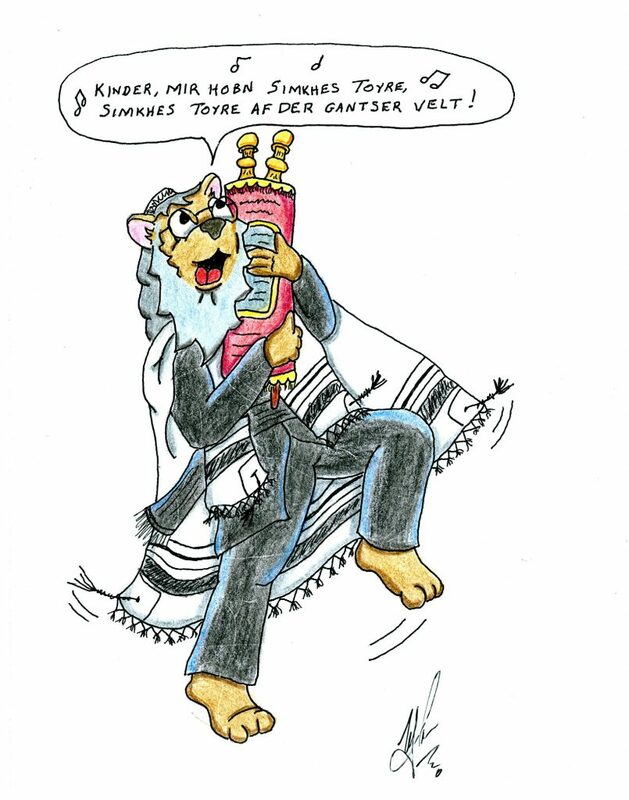 Next are the Rabbis: Tzafeer (Orthodox), Dov (Conservative), and when you can catch him, Shafan (Reform). Shafan is a very busy rabbi. Naturally, the families of the main characters also make appearances, especially in the books, i.e. “Zeyde and the Hidden Mine”, which you should have read by now, and if you haven’t, shame on you! What are you waiting for? Strip 15 – Sam’s Big Problem! 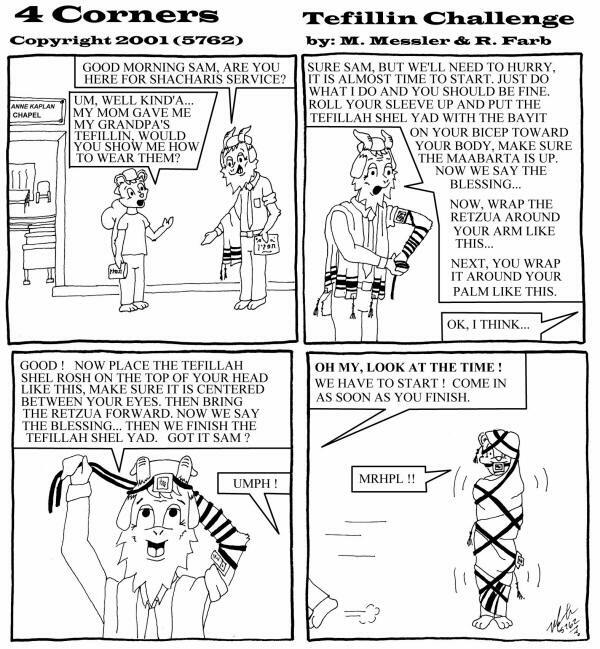 Strip 11 – Tefillin Challenge! 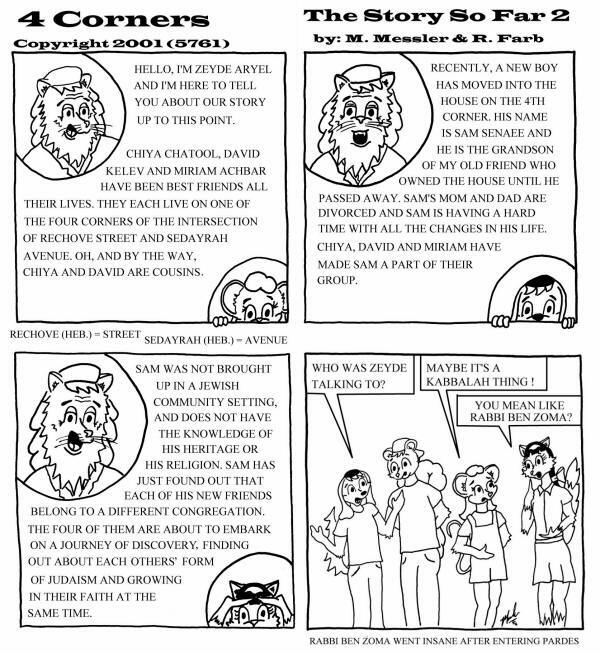 Strip 10 – The Orthodox Rabbi. 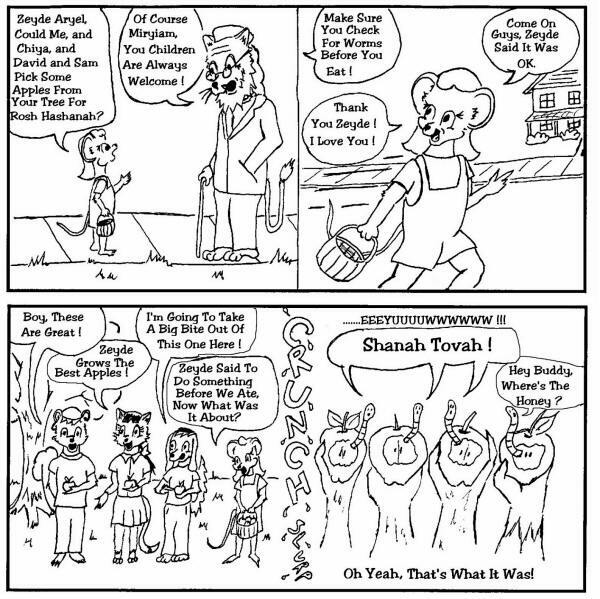 Strip 9 – The Conservative Rabbi. 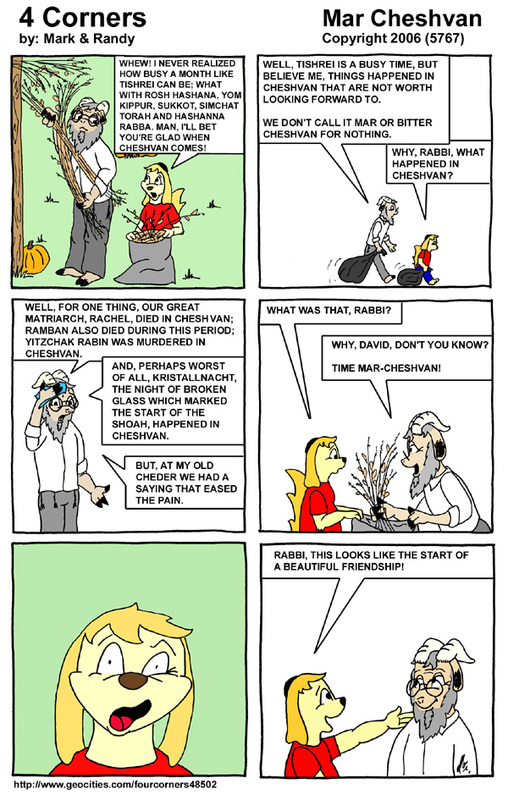 Strip 8 – The Reform Rabbi. 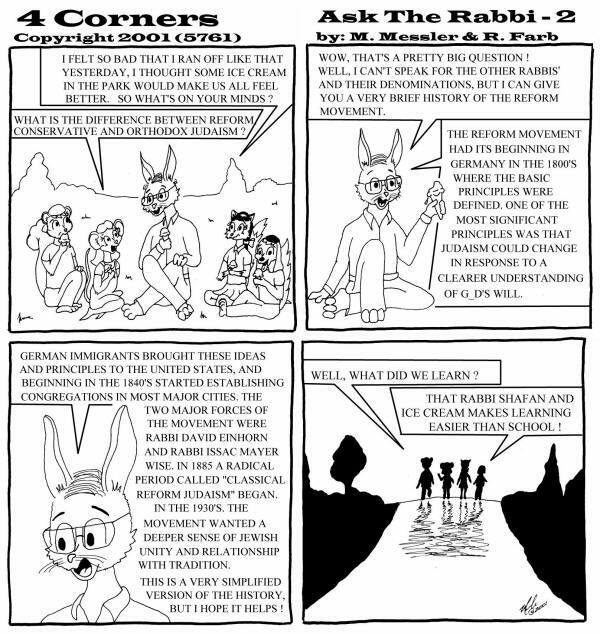 Strip 7 – The Journey of Discovery Begins. Strip # 5 Different Synagogues? 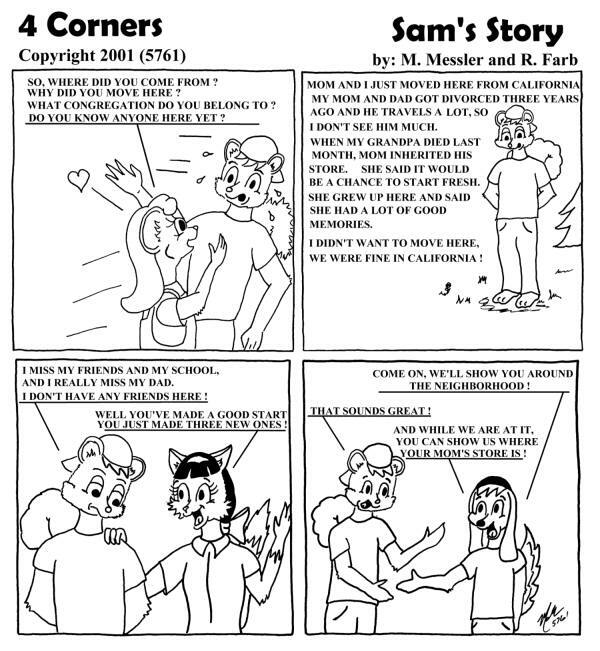 Strip #4 Sam tells his story. Strip #3 The kids introduce themselves to the new kid. Strip #2 The kinds meet Sam for the first time. Strip #1 Meeting the characters. Our Very First Strip (strips published each week).